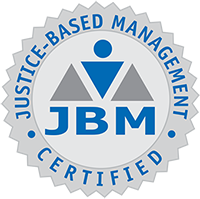 Our professional goal is to deliver the highest possible value to our clients—by providing the highest quality service at the lowest competitive price. We work to remove the headaches of running their ESOP so our clients can focus on running their business. We provide to each of our clients the sort of long-term, comprehensive, and personal attention that makes EEI’s ESOP administrative consulting services truly unique. EEI constantly upgrades its administration system to provide quick turnaround, accurate results, strict adherence to all legal requirements, and responsiveness to the specific needs of our clients. We strive to keep your ESOP administration costs as low as possible. EEI’s professionals rank among the pioneers and innovators in the ESOP field. Our work has contributed to the creation of legal incentives enabling ESOP companies to function effectively. We are widely recognized for our deep commitment to the principles of equity and economic empowerment underlying the ESOP. Furthermore, we view a well-designed, well-maintained ESOP as a cornerstone to a healthy ownership culture and service-oriented workplace where everyone gains a personal stake in growing the company’s bottom-line profits. Our comprehensive ownership services are designed to enable all owners of a company to gain the maximum benefit from, as well as a deeper sense of responsibility and pride in, being a co-owner. 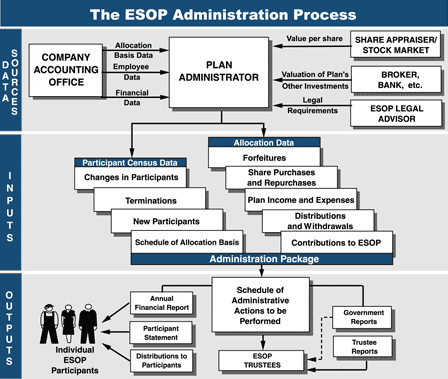 Many ESOP consultants leave the gathering and processing of raw data to the client. 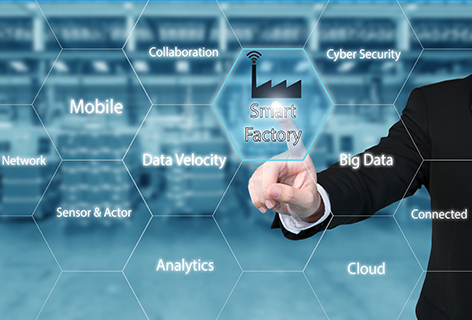 EEI gathers necessary information from the client, and assumes the task of processing and analyzing this data. As part of the allocation process, EEI develops and stores in a readily accessible form all legally required records generated for each client. These include share cost basis, legally mandated stock categories, participant census data, participant termination data, and benefit schedules. EEI also provides the client with copies of these records as part of the annual ESOP administration process. EEI allocates among Plan Participants all assets held by the Plan, contributed to the Plan or earned by the Plan. EEI designs and maintains a customized allocation program for each client, which can be tailored to allow for special transactions, or material modifications or amendments to the Plan. In order to avoid conflict of interest, EEI does not perform annual valuations needed for ESOP shares of closely-held companies. However, EEI reviews the valuations performed by independent valuation experts. We can also recommend the best professionals in that field. EEI prepares custom-tailored, individualized letters for Participants scheduled to receive distributions of benefits in accordance with the accepted distribution policy of the client. Unlike some consultants, EEI covers under our annual administration fees the preparation of routine distribution letters and the attached forms. We also prepare (as part of “additional consulting”) special distribution letters to meet unusual circumstances, such as deviations from the standard distribution policy. EEI prepares all forms to meet Federal requirements, removing a significant headache for the ESOP Trustees. EEI has developed customized computer programs to provide the client with Federal Form 5500-C/R, 5500, and all attachments, as needed, such as the Schedules A, C, E, G, P and SSA, for the Plan Year. We also provide the client with individual Form 1099-Rs for each Participant receiving a distribution of benefits within the calendar year. EEI provides the client with an item-by-item “checklist” of tasks to be performed during the Plan and calendar year, and specifies the individual or group responsible for carrying out each task. We also include an annually-updated history of key financial and census figures relating to the ESOP. All of these are bound with the annual allocation report in a convenient, “user-friendly” 8-1/2 x 11 inch format that our clients find much easier to use than the usual computer printout. Other helpful features include graphs of critical ESOP and company data drawn from the ESOP History (especially popular with many of our clients), Company and ESOP Share Ledgers, and ESOP information updates and recommendations.